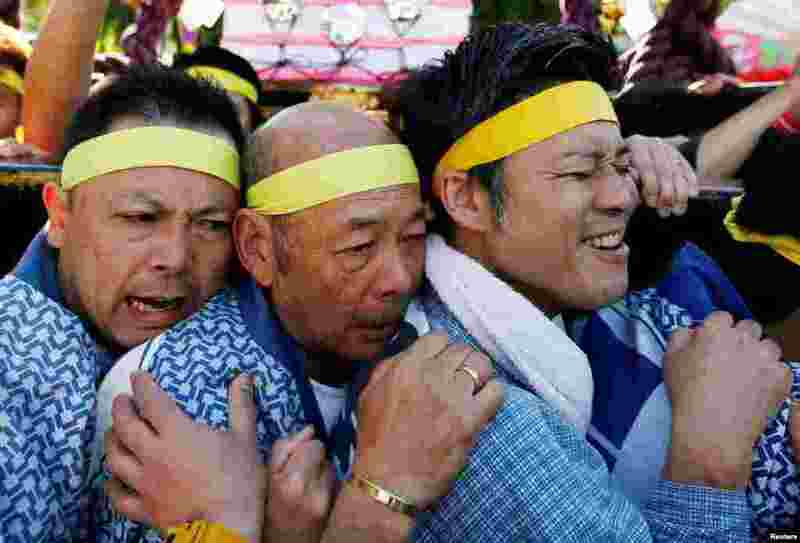 1 People carry a portable shrine, a Mikoshi, at the Senso-ji Temple during the Sanja festival in Asakusa district in Tokyo, Japan. 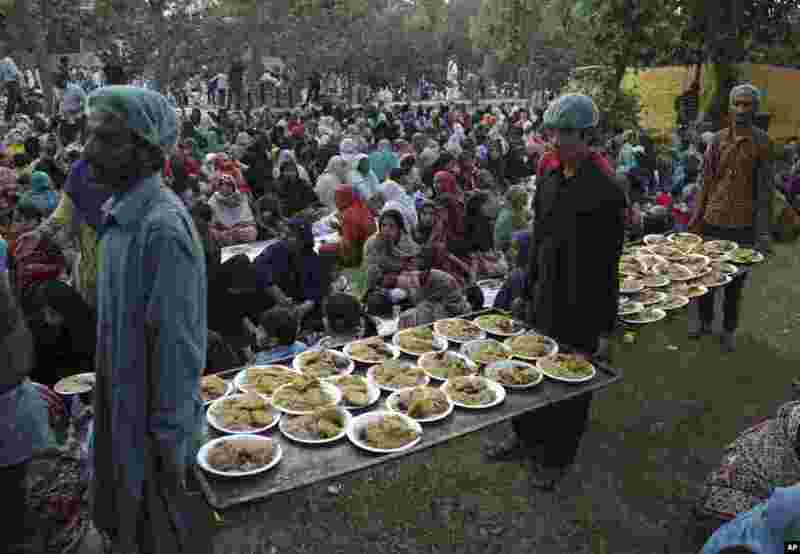 2 Volunteers distribute food to Muslims for breaking their Ramadan fast at a free food distribution point in Lahore, Pakistan. 3 Girls' faces are covered by white powder at a town fiesta parlour game, in celebration of patron saint Santa Rita de Cascia in Baclaran, Paranaque City, Metro Manila, Philippines. 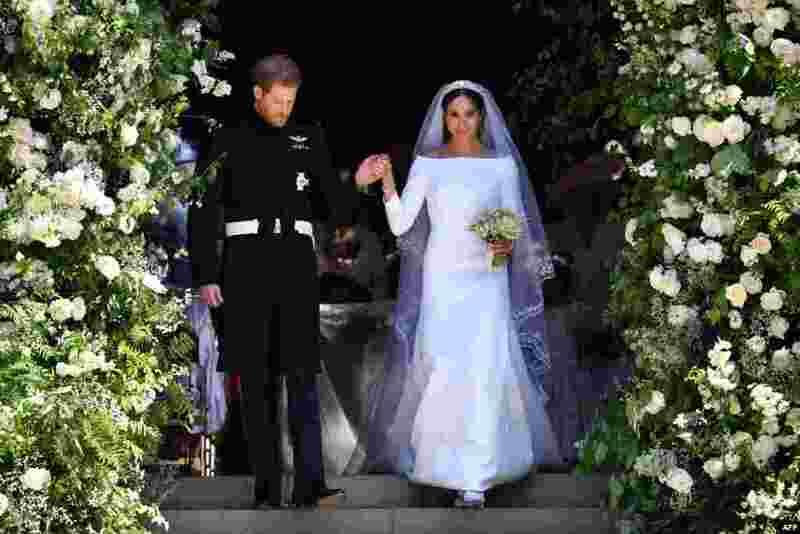 4 Britain's Prince Harry, Duke of Sussex and his wife Meghan, Duchess of Sussex walk down the west steps of St George's Chapel, Windsor Castle, in Windsor, May 19, 2018 after their wedding ceremony.